Lifeline Theatre welcomes ensemble member Andrés Enriquez to his new staff position as casting director, beginning February 2018. Reporting directly to Artistic Director Dorothy Milne and Managing Director Allison Cain, Enriquez will be responsible for overseeing the audition processes for the company, collaborating closely with directors to fulfill the casting needs for Lifeline’s three MainStage and three KidSeries productions every season. Enriquez succeeds Lavina Jadhwani, who served as casting director since 2015, as she focuses on her successful directing career. Meanwhile, Lifeline’s 2017-18 season continues with the world premiere MainStage production of Anna Karenina (running February 16–April 8) and the world premiere KidSeries production of You Think It’s Easy Being The Tooth Fairy? (running March 17–April 22). We'll be out for the press openings for both, so check back soon for our full reviews at ChiILLiveShows.com (adult) & ChiILMama.com (family friendly) respectively. 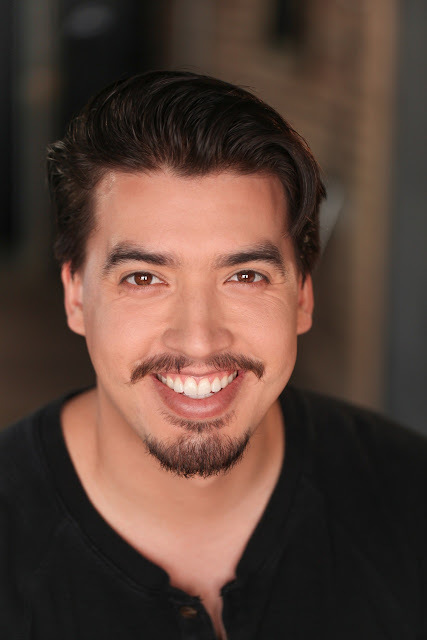 Enriquez has performed on both the MainStage and the KidSeries stage for Lifeline, having understudied The Velveteen Rabbit and Soon I Will Be Invincible, and appeared in Sparky!, Northanger Abbey, and Sylvester. Other Chicago-area productions include Forever Plaid (Fox Valley Repertory), The Life and Death Of Madame Barker (Red Tape), Love and Information (Remy Bumppo), The Adding Machine (The Hypocrites), and In The Heights (Porchlight). He has also worked with Underscore Theater Company, Strawdog Theatre, 16th Street Theater, and Theater at the Center. Enriquez received his B.A. from the University of California, Santa Barbara, and his M.F.A. in Acting from the University of Iowa. Enriquez is also the music director of No Big Deal, a Chicago a cappella quartet, and a proud company member of Barrel of Monkeys. In addition to Cain and Milne, Lifeline Theatre is led by an active artistic ensemble which includes Aly Renee Amidei, Patrick Blashill, Jessica Wright Buha, Christina Calvit, Heather Currie, Bilal Dardai, Victoria DeIorio, Amanda Delheimer, Alan Donahue, Andrés Enriquez, Diane D. Fairchild, Kevin D. Gawley, Peter Greenberg, James E. Grote, Chris Hainsworth, John Hildreth, Paul S. Holmquist, Elise Kauzlaric, Robert Kauzlaric, Anthony Kayer, Frances Limoncelli, Amanda Link, Martel Manning, Michael McKeogh, Katie McLean Hainsworth, Shole Milos, Sandy Snyder Pietz, Suzanne Plunkett, Maren Robinson, Phil Timberlake, Jenifer Tyler, and Christopher M. Walsh.